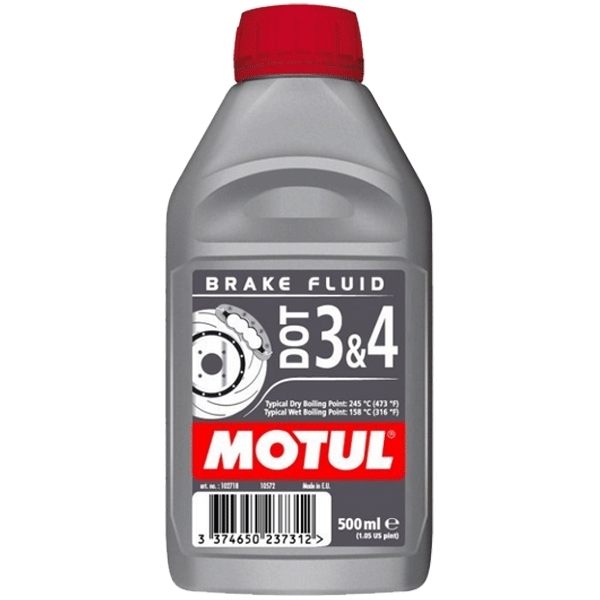 100 percent synthetic brake fluid on polyglycol basis for all types of hydraulic actuated brake and clutch systems meeting DOT 4 and DOT 3 manufacturers recommendations. Mixable with DOT 3, DOT 4 and DOT 5.1 NON SILICONE BASE products. Dry boiling point 245 C / 473 F. Wet boiling point 158 C / 316 F.